The Scottish Council for Development and Industry (SCDI) announced on Monday its new chief executive will be Sara Thiam, currently the Scotland Director of the Institution of Civil Engineers. Thiam will join the SCDI in June and succeeds Mark Bevan, who resigned abruptly from the organisation last August after only a year at the SCDI. Thiam, a member of the Scottish Government’s newly-formed Infrastructure Commission, believes that skills, technology and tackling climate change are key to the country’s economic future. “In common with other countries around the world Scotland faces unprecedented environmental, demographic, mobility, educational and technological challenges,” Thiam said. “Ensuring our people have the right skills and knowledge, embracing digital technology and tackling climate change hold the key to driving a much-needed surge in productivity and sustainable economic prosperity. 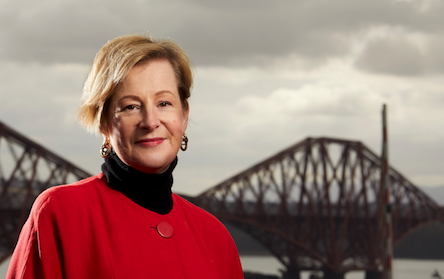 “With change comes opportunity and I’m passionate about Scotland’s ability to innovate. Directing our talent for innovation to delivering improved economic, social and environmental outcomes will help us compete internationally. SCDI chair Ian Wall said: “Sara stands out as a natural communicator with a passion to increase and share knowledge on things that matter to the people of Scotland. “Her track record spans the public, private and third sectors at local, national and EU level and demonstrates an ability to bring people and ideas together.